This week marks the beginning of a new series of makeovers. Throughout this year, Andy Cotgreave will be joining me in these makeovers so that we can learn from each other. You can participate and/or follow along every week here. 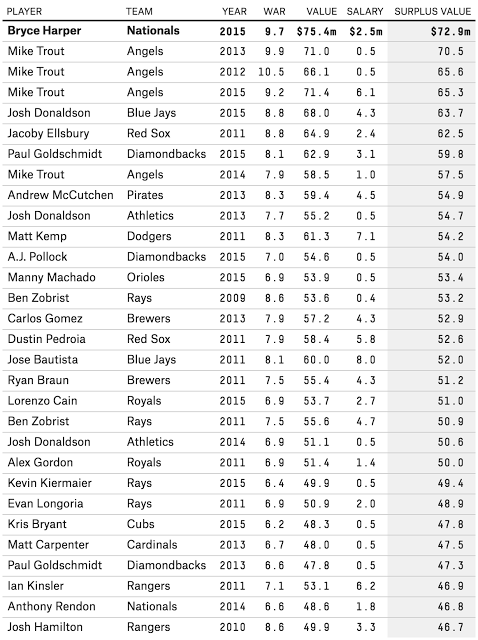 This week we looked at this table from FiveThirtyEight. The main data point in this table and the article is the Surplus Value column. Essentially, FiveThirtyEight uses WAR as a way to calculate a player's value and then compares that to what they were actually paid. There's nothing particularly terrible about this table. It serves its main purpose: looking up facts. But what is does lack is a simple way to make comparisons between the players and more quickly show the differences between them. 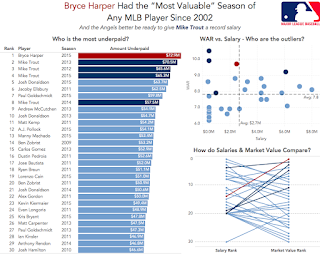 Ideally, I want to answer the question: How great was the 2015 season from Bryce Harper? With this in mind, I created this visualisation. Click on the image to interact, as I have included some highlight actions. However, the view itself can stand alone without the interactivity as well. 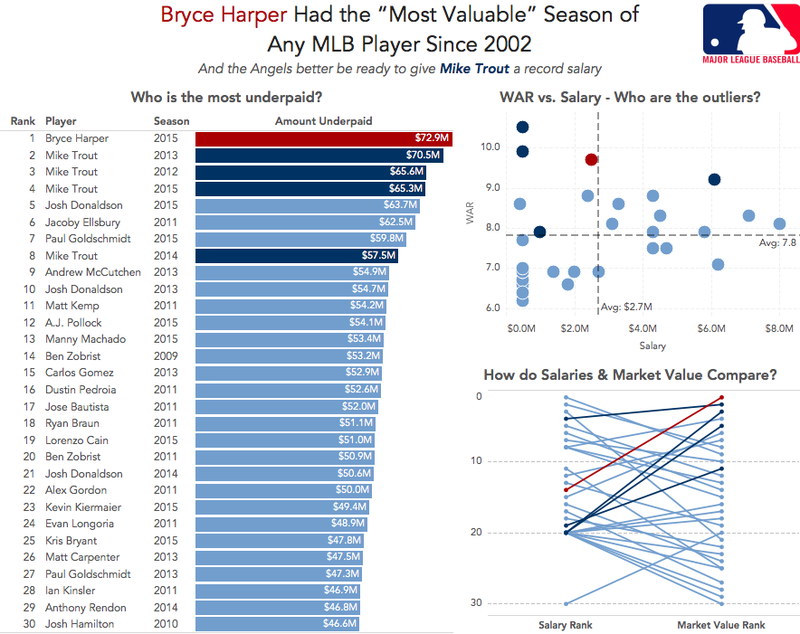 This is my first visualization on tableau public. Sapna, what do the two different bars for each player mean? That isn't clear. Fade to Ginger: Who Says Man Can't Time Travel?